The hotel and other travel accommodation market consists of sales of short-term lodging services and related goods in facilities known as hotels, motor hotels, resort hotels, and motels by entities (organizations, sole traders or partnerships) that provide short-term lodging services and related goods in facilities known as hotels, motor hotels, resort hotels, and motels. The establishments in this industry may offer food and beverage services, recreational services, conference rooms, convention services, laundry services, parking, and other services. Major players in the global hotel and other travel accommodation market include Marriott International, Hilton Worldwide, Wyndham Corporation, Hyatt Hotels Corporation, Four Seasons Hotels & Resorts. 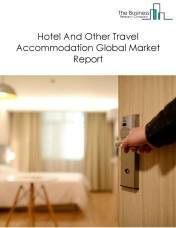 The global hotel and other travel accommodation market is further segmented based on type and geography. By Type - The hotel and other travel accommodation market is segmented into hotel and motel, casino hotels, bed and breakfast accommodation, all other traveller accommodation among these segments, the hotel and motel market accounts for the largest share in the global hotel and other travel accommodation market. By Geography - The global hotel and other travel accommodation is segmented into North America, South America, Asia-Pacific, Eastern Europe, Western Europe, Middle East and Africa. Among these regions, Asia Pacific was the largest region in the global hotel and other travel accommodation market. Technological advances are enabling firms to deliver personalized services by obtaining customer intelligence. Companies are providing customized promotions and offers by collecting vital information about consumers’ likes, dislikes and preferences by using social media and technologies such as mobile software applications that track customer behaviour. Hotels are now offering personalized menus, lighting, and other services based on customer information available from previous visits or intelligence gathered from social media. The Four Seasons Hotel spent $18 million to revise their website which will deliver personalized dynamic web pages to potential customers. Potential Opportunities in the Hotel And Other Travel Accommodation Market With increase in emerging markets growth, ease of international travel, development of medical tourism and increase in disposable income the scope and potential for the global hotel and other travel accommodation market is expected to significantly rise in the forecast period. Healthy Eating is a Free Choice of Consumers. Menu Engineering to Increase the Number of Orders. Micro-housing Units to Meet the Growing Demand for Affordable Accommodation. Campgrounds Started Offering Wi-Fi Facilities to Serve Campers’ “Social” Needs. Organic Meals for the Increasing Number of Health Conscious Consumers. 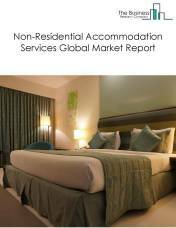 The non-residential accommodation services market consists of sales of non-residential accommodation services and related goods by entities (organizations, sole traders or partnerships) that provide lodging or short-term accommodation for travelers, vacationers, and others. There is a wide range of services provided in this market. Some establishments provide lodging only, while others provide meals, laundry services, and recreational facilities, as well as lodging. Lodging establishments are classified in this subsector even if the provision of complementary services generates more revenue. The types of complementary services provided vary from establishment to establishment. 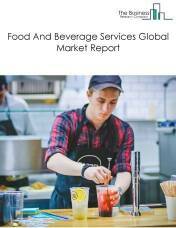 The food and beverage services market consists of sales of food and beverage services by entities (organizations, sole traders and partnerships) that provide meals, snacks, and beverages to customer order for immediate on-premises and off-premises consumption. The camping and caravanning market consists of sales of camping and caravanning services and related goods in sites to accommodate campers and their equipment, including tents, tent trailers, travel trailers, and RVs (recreational vehicles) by entities (organizations, sole traders or partnerships) that operate sites to accommodate campers and their equipment, including tents, tent trailers, travel trailers, and RVs (recreational vehicles). These establishments may provide access to facilities, such as washrooms, laundry rooms, recreation halls, playgrounds, stores, and snack bars. 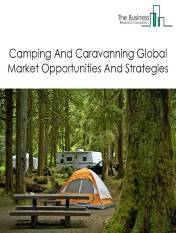 The camping and caravanning industry comprises establishments primarily engaged in operating overnight recreational camps, such as children's camps, family vacation camps, hunting and fishing camps, and outdoor adventure retreats, that offer trail riding, white water rafting, hiking, and similar activities. These establishments provide accommodation facilities, such as cabins and fixed campsites, and other amenities, such as food services, recreational facilities and equipment, and organized recreational activities. 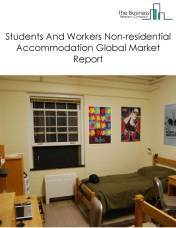 The non-residential accommodation market consists of sales of non-residential accommodation services and related goods by entities (organizations, sole traders and partnerships) that operate rooming and boarding houses and similar facilities, such as off campus dormitories, residential clubs, and workers' camps. These establishments provide temporary or longer-term accommodation, which, for the period of occupancy, may serve as a principal residence. These establishments also may provide complementary services, such as housekeeping, meals, and laundry services. 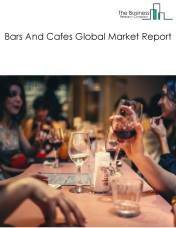 The bars and cafes market consists of sales of alcoholic beverages for immediate consumption, non-alcoholic beverages and specialty snacks for consumption on or near the premises by entities (organizations, sole traders and partnerships) including bars, taverns, nightclubs, or drinking places and fruit juice stalls, coffee shops and mobile beverage vendors that prepare and serve alcoholic beverages for immediate consumption or prepare and/or serve a specialty snack, such as ice cream, frozen yogurt, cookies, or popcorn, and/or serve non-alcoholic beverages, such as coffee, juices, or sodas for consumption on or near the premises. 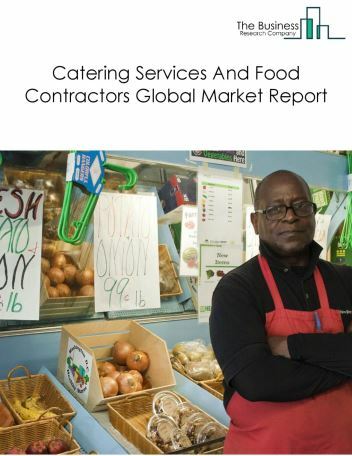 The catering services and food contractors market consists of sales of single event-based food services or food services at institutional, governmental, commercial, or industrial locations of others based on contractual arrangements with these types of organizations for a specified period of time by entities (organizations, sole traders and partnerships) that provide single event-based food services or food services at institutional, governmental, commercial, or industrial locations of others based on contractual arrangements with these types of organizations for a specified period of time.